Will Facebook putting ‘Stories’ everywhere crack Snapchat? Snapchat redefined social media, but can it compete post-IPO? Facebook outperformed financial projections for the eighth consecutive quarter and is closing in on more than 2 billion monthly users. However, the company says expect ad growth to slow. 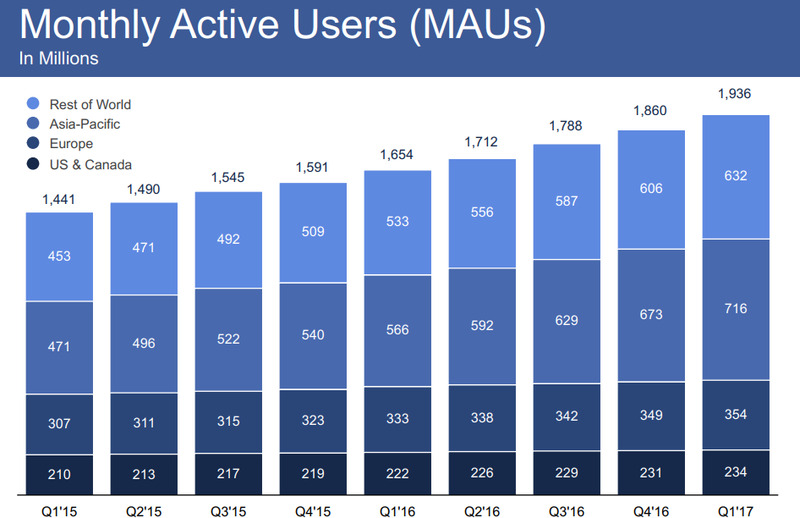 Facebook is on track to surpass 2 billion monthly active users (MAU) before the end of this summer. 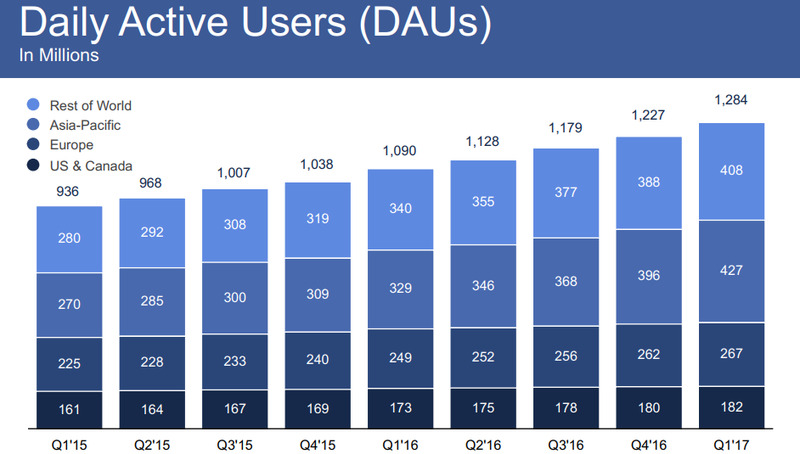 The company ended the first quarter of 2017 with 1.94 billion MAUs and 1.28 billion people using the social network every day. While the monthly user base grew 17 percent year-over-year, daily usage jumped at a slightly higher rate of 18 percent during the same period. Overall growth remains steady, which is unique for a company with such a massive global user base. Facebook reported identical growth rates on a percentage basis in the previous quarter. Company revenue and profits are also on the rise. 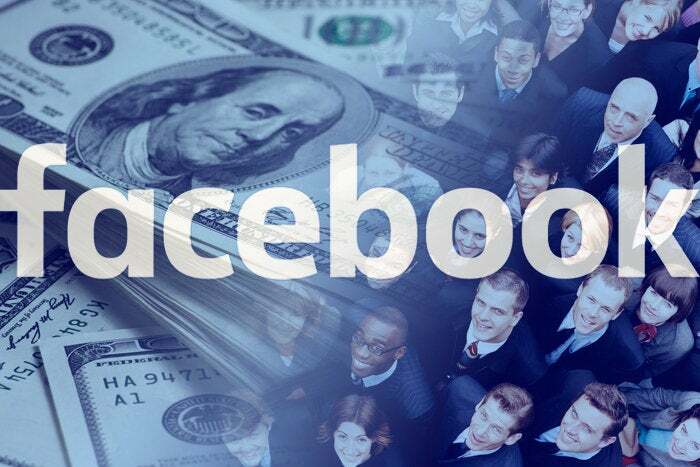 Facebook banked $3.06 billion in net income on $8.03 billion in revenue, marking a 76 percent year-over-year increase in profit and a 49 percent climb in revenue. The company has also beat analysts revenue estimates for eight consecutive quarters. Meanwhile, Facebook’s all-out assault on Snapchat is boosting the performance of other core properties. WhatsApp Status, which mimics the “stories” feature popularized by Snapchat and now copied throughout Facebook’s family of apps, has attracted 175 million daily users in less than three months, CEO Mark Zuckerberg announced during the call. Instagram Stories has more than 200 million daily users, according to the company. Both features which reside in much larger apps -- WhatsApp has 1.2 billion MAUs and Instagram has 700 million MAUs -- are now bigger than the entirety of Snapchat. Safety has been a particularly poignant challenge for Facebook of late as more people use the company’s video livestreaming products to broadcast acts of extreme violence, murder and hatred. Two days before the start of Facebook’s annual developer conference last month, a Cleveland man posted a video of him shooting and killing a 74-year-old grandfather. “We’re going to continue building new tools to keep people safe on our platform,” Zuckerberg said during the earnings call. “Over the next year, we’ll be adding 3,000 people to our community operations team around the world -- on top of the 4,500 we already have today -- to review the millions of reports we get every week, and to improve the process for doing it quickly.” Facebook ended the recently closed quarter with 18,770 employees, which marks a 38 percent year-over-year increase.